Shopping in your dreams is common and often symbolizes your needs and wants. If you are dreaming of shopping or being in a store, it is helpful to know what this dream means so you can apply this wisdom to situations in your daily life. Choices and Options: Do you have a lot of choices and options while shopping? Is there something in your life where you need to make a choice or decision? Needs and Desires: Do you know what you want and what you need? Are you getting what you want out of life? 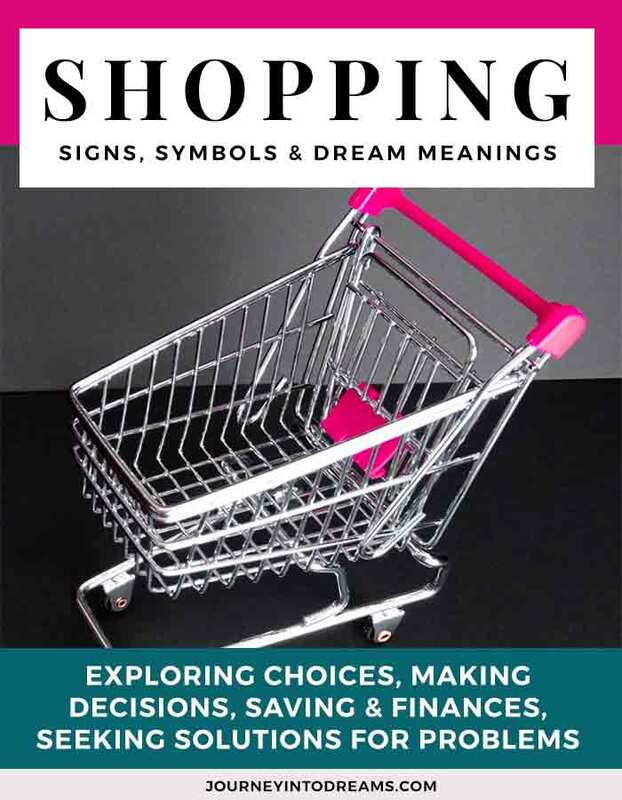 Shopping Cart: To see a full shopping cart in your dream symbolizes that you are fulfilling you needs. To see an empty cart symbolizes indecision or lack of fulfillment. Finances: Are your finances in good order? Does shopping make you worry about money? Your shopping experience in your dream may reflect your financial situation. Seeking a Solution to a Problem: To be searching for something while shopping symbolizes your need to find a solution for a problem. Are you able to find what you are looking for at the store? Do the items you are shopping for solve a problem you are facing? 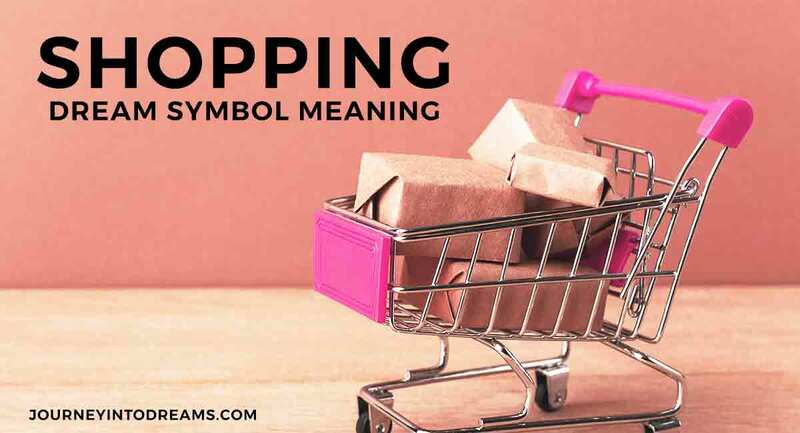 In addition to knowing the general symbolism for the meaning of shopping, you may also wish to pay close attention to what types of store you are shopping at in the dream. Grocery Shopping: To be shopping for groceries symbolizes that you are trying to provide for others. Groceries could indicate a need for nourishment or making better decisions about your health and food. If you are dreaming about apples, that certainly could have a different meaning than if you are shopping for alcohol in a dream, since one is considered to be healthy and the other one is not! Clothes Shopping: To be clothes shopping in a dream symbolizes your image, or how you may be trying to change your appearance. It may also symbolize that you are looking for a solution so that others view you as your true self or see your full potential. Shopping for clothes could mean you are trying to decide on how to present yourself to others. Shopping at a Book Store: A book store can mean that you are looking for information in order to make a choice. You may be looking for something that gives you confidence with knowledge. Understanding what it means to dream about books can also give you some further insight into what your dream is about. Shopping for a Home or Home Improvement Items: If you are shopping for a house or furniture, it can be helpful to understand this in a dream. For example, dreaming about buying a house could mean you are looking at different options for yourself to make some changes in life. Learning about what a house means in dream interpretation can be useful. You might also want to look at different parts of a house, such as furniture or other decorative items. The type of store you are shopping at can often give you a lot of clues. Is it a convenience store? Are you taking shortcuts or avoiding a challenge in your current life? If it is a large department store that too can be different than a small boutique of a small business. Asking yourself these questions can help you understand the meaning of your dream about shopping. Your own personal associations are very important to consider when you are interpreting dreams! What are your feelings about shopping? Do you shop til you drop or do you see shopping as a chore? Your own personal feelings about shopping will provide some insight about what it means in your dream. What is going on in your life currently? Think back to the past few days. Is there anything going on in your life that resembles shopping in your dream? Are you facing choices to make or are you searching for something? Shopping is often a symbol for making a choice or searching for something in your life. Think carefully about the direction your life is going - are you searching for something or is there a choice you need to make soon? Have You Ever Worked in Retail? For some people, especially if you worked in a store or other retail environment, shopping could be related to your work. Are you passionate about your current work? Do you have a job you like or don't like? Are you currently deciding on whether to start a new job or career change? What are your experiences with dreams about shopping? What does this dream symbol mean to you? Comments are always welcomed below!